Few days back we reported about Micromax Canvas Ninja A72 and till that it was the cheapest phablet designed ever and it was especially released for the users who only want to big screens on their mobile phones rather than good configuration for heavy applications. But now Umi has also entered into this competition and they have launched even a cheaper phablet for 5-inches than Micromax Viva A72 and it has been priced at 4,999 INR (2000 INR cheaper than the Micromax contender). All the hardware specs when compared with each other are almost similar and this is the biggest reason which gives Umi XE an edge over Micromax Ninja A72. With the screen-size of 5-inches and multi-touch capacitive TFT display, it handles a dual core processor of 1GHz along with 256 MB of RAM (and all of these are exactly similar in case of Micromax Ninja A72. Now when it comes to camera then Ninja A72 takes the leap with 5MP of primary camera which is 2MP in case of Umi XE rest secondary camera is same in both the cases which is 0.3 MP (VGA). The battery strength is also same, which is 2050 mAh in case of Umi XE and 2000 mAh in case of Micromax Ninja A72 but with the same battery backup Umi XE will provide you the better talktime because they have IceCream Sandwich on the board which is latest when compared with Gingerbread (available on Micromax Ninja A72). 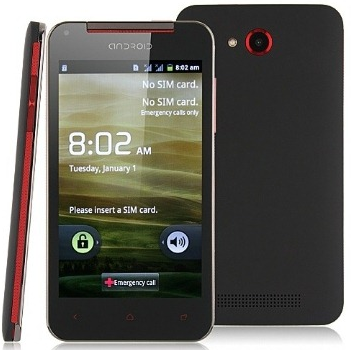 The internal storage of this phone is 128 MB and it can be extended up to 16GB with the help of external memory slot. We cannot locate this online right now, but we will keep you updated and till them you can also check Umi’s official website but as of now you cannot see anything about this phone listed on their website as of now. Watchout everybody- this Model UMI XE which was on UMI website till 5 days ago- is no longer there on the site. UMI india outfit seems to be run by some scamsters- they put mobile phones with attractive specs on their sites- get people to pay for them ( my cousin paid 4999 in their designated bank account- and then never even bother to either acknowledge payments- nor answer mails or phones. Seems to be just another chink scam !! The price of this mobile is s much reasonable. The internal storage of this phone is 128 MB and it can be extended up to 16GB with the help of external memory slot.It’s really attractive .